Virginia Asian Chamber of Commerce is the iconic leader in business advocacy organization working on behalf of more than 47,500 Asian American companies in Virginia which employ more than 97,000 employees and creating 20 billion dollars in revenue. We also represent businesses with headquarters offices from the states of Virginia, Maryland, DC , North Carolina, Georgia, and Alabama). VACC, a certified IRS C6 Non Profit business organization, promotes commerce in the American markets and helps our members expand and grow their businesses by connecting mainstream businesses with our members and other businesses. The VACC helps develop and generate new business connections for our members through our monthly statewide events, conferences, and initiatives. We partner with local, state, federal government buying agencies and international country market leaders represented through selected Asian embassies and we actively promote trade between the United States and Asian continent. VACC Volunteer Executive Leadership comprises of 6 experienced Directors and Officers representing the voice of Asian American businesses in all major Virginia region: Northern Virginia (Christine Do and Srini Bayireddi), Prince William County (Aurora McNear), Central Virginia (Tinh Phan, Chairman), Hampron Roads (Micheal Chinn). Other Volunteer Directors at Large assist Executive Committee on special projects, business development and educational program, event logistics, and outreach. VACC Staff includes energetic professionals with varying depth of experience in legislative affairs, community service, community development, multi-ethnic community outreach, women business development, professional development, and data development. My Lan Tran, VACC Executive is the proud winner of two prestigious national awards: The SBA Champion of The Year 2010 for Small and Minority Business – SBA Region III ( MD-VA-WV, PA, & DE ) and the SBA Champion of The Year 2010 for Small and Minority Business – SBA of the Commonwealth of Virginia. VACC also maintains top leadership board positions at mega Transportation Resource Boards such as VDOT- Resource Board Commissions of Rte 395 Expansion and Rte 66 Expansion. We also play a crucial Advisory role to: Go Virginia, a newly created state economic development initiative and legislation aimed at helping create jobs for Virginia in the New Economy. We help create and draft the Old Dominion University’s (ODU) Annual State of the Region’s “Brain Drain” Economic Study of the Hampton Roads, which is presented each Fall in Norfolk and Newport News. 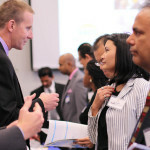 VACC represents Virginia ‘s Asian business community at Virginia’s ” Mega Region ” Project at the College William and Mary. VACC, since 2014 until today is an active member of a resourceful coalition of Asian American Chambers across the United States. Our Asian American Business Assistance Center (AABAC) offers strategic business consulting and business development. We act as a clearinghouse of contract opportunities from a network of strategic partners of larger size public/private sector buyers, and global market leaders to help generate increased domestic and international business opportunities. VACC statewide satellite offices are in Fairfax, Chantilly, Richmond, Charlottesville, Ashburn, Norfolk, and Newport News with meeting venues all across the Commonwealth. VACC members are multi-state: They are from Maryland, Washington DC Metro area, Virginia, Georgia, Alabama, and North Carolina. VACC ‘s Asian Pacific American (APA) members share a rich and diverse cultural background from thirty seven (37) Asian countries. Every year more than 2000 businesses and organizations participate in more than 50 of the Asian Chamber hosted or co hosted events statewide. Our membership ranges from those representing some of the world most powerful corporations to one-person companies – and everything in between. We host monthly Mixers in Fairfax, bi monthly Mixers in Richmond, 3 statewide B2B and B2G ProcureCon Buyer EXPOs; an Annual Asian Chamber Gala, an annual Asian Legislative Summit and Reception, an Asian Women Business Pilot Entrepreneurship Development Project, and a quarterly CareerConnect RVA Meeting Project for professionals in conjunction with Virginia Asian Foundation.